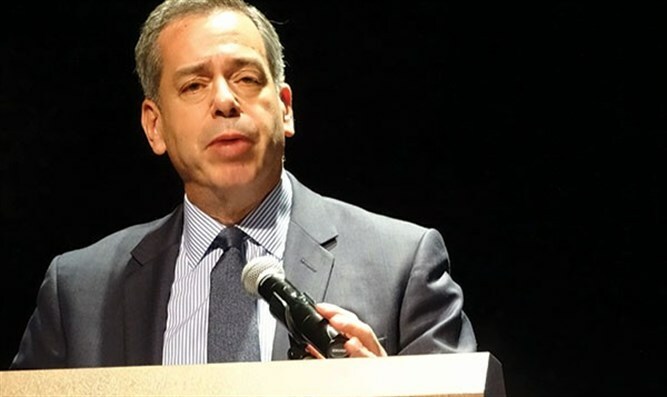 An interview with Mark Weitzman of the Simon Wiesenthal Center and International Holocaust Remembrance Authority: "A definition must include...double standards and delegitimization of Israel." “Anti-Semitism in Europe showed a significant increase starting in 2000. This was recognized from 2003 onwards by the OSCE (Organisation for Security and Cooperation) and the OSCE ODIHR (The OSCE’s European Office for Democratic Institutions and Human Rights) together with the EUMC (the European Monitoring Centre on Racism and Xenophobia), an agency of the European Union. “When starting to combat anti-Semitism the lack of an adequate definition was apparent and recognized as the first hurdle. Such a definition had to include classic anti-Semitism as well as the demonization, double standards and delegitimization applied to Israel. Mark Weitzman is Director of Government Affairs for the Simon Wiesenthal Center. He is a member of the official US delegation to the International Holocaust Remembrance Authority (IHRA). There he chaired the Committee on anti-Semitism and Holocaust Denial in 2013. “Under my chairmanship of this commission we proposed that the IHRA adopt the ‘Working Definition of Holocaust Denial and Distortion.’ I was its lead author. I also intended that the committee propose a definition of anti-Semitism. “Experts from over 30 countries and different fields were involved in this commission including scholars, educators, museum and memorial professionals and diplomats. If we were going to accomplish anything we needed clarity as to what the term anti-Semitism means. I suggested we use the EUMC text with some slight amendments. We didn’t have the luxury of taking the time to create something new. "I also obtained the support of the future Romanian IHRA Chair, Ambassador Mihnea Constantinescu. He agreed to make this a priority of his chairmanship. His leadership was crucial as IHRA requires consensus to officially adopt any proposal. We then had to convince the 31 member-countries – all Western democracies -- to agree. That process involved approximately three years of intense political activity. 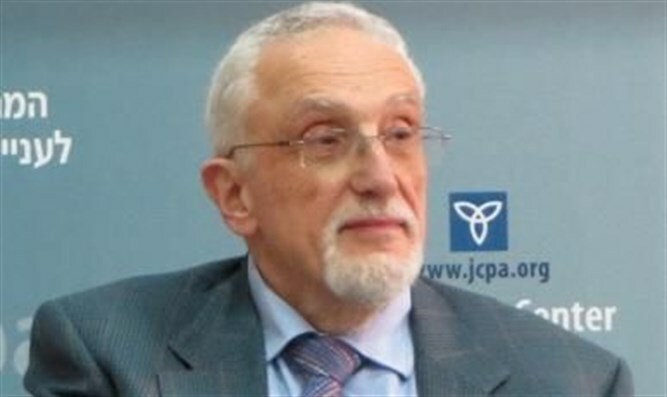 Finally, in May 2016 at the Bucharest Plenary, the IHRA adopted a definition of anti-Semitism very similar to the previous EUMC version, which included a number of examples. “By April 2018, the IHRA anti-Semitism definition had been formally adopted for internal use by several countries, which in historical order are: The United Kingdom, Israel, Austria. Scotland, Romania, Germany, Bulgaria, Lithuania and the former Yugoslav Republic of Macedonia. “The US State Department originally posted the EUMC definition, with some slight variations, on its website in 2007. In late 2017, this version was replaced by the IHRA definition. The State Department can only work on international issues. Domestically, the First Amendment offers wide protection to speech. There is now a proposal in Congress for the Department of Education to use the definition to help identify anti-Semitic violations of civil rights on campuses. “The IHRA definition has also been adopted by a variety of others including the cities of London and Berlin, over 120 municipalities in the UK, the state of South Carolina, the city of Bal Harbour in Florida and Western Washington University. “By now there are a variety of practical applications of the IHRA definition. In February 2017 the University of Central Lancashire cancelled an event which was due to take place as part of ‘Israel Apartheid Week’. The definition is also being used to train police officers and judges in the UK. In Germany, the Berlin State Police have adopted the IHRA definition. The opponents of the use of the IHRA definition have generally made two demonstrably false arguments. The first is that the definition is an attempt to muzzle criticism of Israel. But the definition specifically states ‘criticism of Israel similar to that leveled at any other country cannot be regarded as anti-Semitic’. The second argument, which is an even more outrageous lie, is that the IHRA only officially adopted a short highlighted text, and not the examples of anti-Semitism mentioned under it. This is a blatant attempt to distort the record. Ambassador Constantinescu and I have issued a joint statement affirming that the IHRA adopted the entire text as documented.